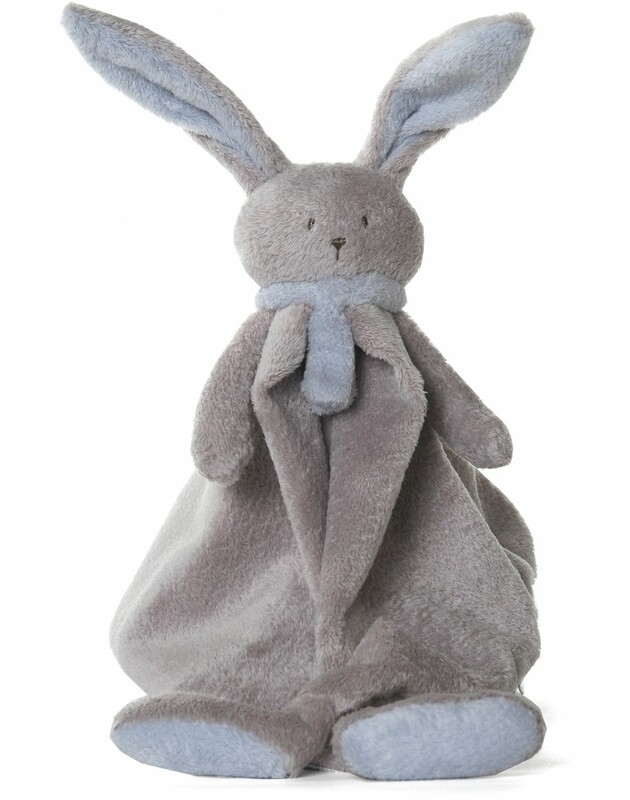 Dimpel doudou Nina the rabbit, soft doudou and hugs of the Belgian brand Dimpel. Grote Schatten offers a wide range of soft hugs! 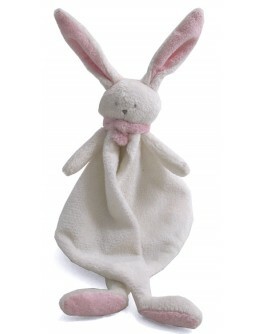 Doudou Nina greybeige rabbit, has a scarf around the neck. LOOKING FOR A DIMPEL HUG OR CUDDLE? 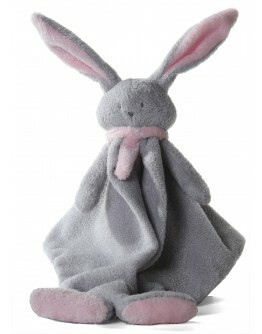 DIMPEL HAS SOFT CUDDLES AVAILABLE IN DIFFERENT ANIMALS INCLUDING NINA THE BUNNY. DIMPEL NINA EXISTS IN MULTIPLE COLORS! A CUDDLE DIMPEL IS THE PERFECT BIRTH DETAIL. 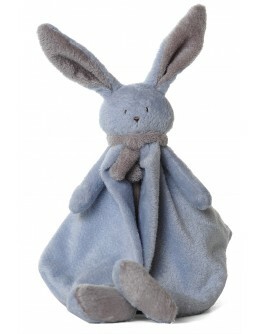 LARGE CHOICE DIMPEL HUGS AT GROTE SCHATTEN | ONLINE WEBSTORE FOR BABY AND CHILD. 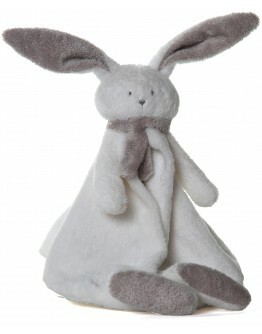 DimpelDimpel doudou Nina rabbit white - greyDimpel is an original Belgian brand, with a collection of very soft cuddles and doudou's available in a variety of animals...dogs, rabbits, elephants, ... Each of these animals gets a name such as e.g. Fifi the dog or Neela the Bunny. Now your favorite cuddle can be easily found when your baby lost his best friend. Grote Schatten recommends therefore, when you choose to purchase a doudou or cuddle, buy one or more in reserve. 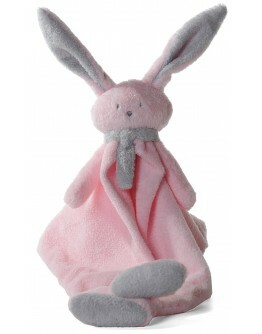 This can prevent a lot of..
DimpelDimpel knuffel doudou the pink rabbit NinaDimpel is an original Belgian brand, with a collection of very soft cuddles and doudou's available in a variety of animals...dogs, rabbits, elephants, ... Each of these animals gets a name such as e.g. Fifi the dog Nina or Neela the Bunny. Now your favorite cuddle can be easily found when your baby lost his best friend. Grote Schatten recommends therefore, when you choose to purchase a doudou or cuddle, buy one or more in reserve. 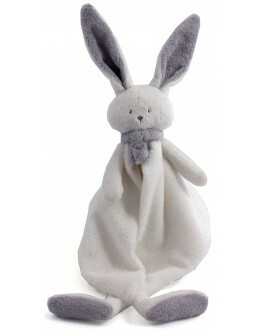 This can prevent..
DimpelDimpel doudou Nina rabbit grey - pinkDimpel is an original Belgian brand, with a collection of very soft cuddles and doudou's available in a variety of animals...dogs, rabbits, elephants, ... Each of these animals gets a name such as NINA the bunny, Fifi the dog or Neela the Bunny. Now your favorite cuddle can be easily found when your baby lost his best friend. Grote Schatten recommends therefore, when you choose to purchase a doudou or cuddle, buy one or more in reserve. This can preven..
Dimpel is an original Belgian brand, with a collection of very soft cuddles and doudou's available in a variety of animals...dogs, rabbits, elephants, ... Each of these animals gets a name such as e.g. Fifi the dog or Neela the Bunny. Now your favorite cuddle can be easily found when your baby lost his best friend. Grote Schatten recommends therefore, when you choose to purchase a doudou or cuddle, buy one or more in reserve. This can prevent a lot of heartache later ... It is also recommended..
DimpelDimpel doudou Nina rabbit white - beigegrey Dimpel is an original Belgian brand, with a collection of very soft cuddles and doudou's available in a variety of animals...dogs, rabbits, elephants, ... Each of these animals gets a name such as Fifi the dog or Neela the Bunny. Now your favorite cuddle can be easily found when your baby lost his best friend. Grote Schatten recommends therefore, when you choose to purchase a doudou or cuddle, buy one or more in reserve. This can prevent a lot ..
Dimpel Dimpel doudou Nina rabbit blue - beigegreyDimpel is an original Belgian brand, with a collection of very soft cuddles and doudou's available in a variety of animals...dogs, rabbits, elephants, ... Each of these animals gets a name such as Fifi the dog, Nina the rabbit or Neela the Bunny. Now your favorite cuddle can be easily found when your baby lost his best friend. Grote Schatten recommends therefore, when you choose to purchase a doudou or cuddle, buy one or more in reserve. This ca..
Dimpel Dimpel doudou tuttie Nina rabbit beigegrey - blueDimpel is an original Belgian brand, with a collection of very soft cuddles and doudou's available in a variety of animals...dogs, rabbits, elephants, ... Each of these animals gets a name such as Fifi the dog or Neela the Bunny. Now your favorite cuddle can be easily found when your baby lost his best friend. Grote Schatten recommends therefore, when you choose to purchase for your baby a doudou or cuddle, buy one or more in reserve..